Home » Inspiration » Love Is... » Allah gives, takes, and guides. 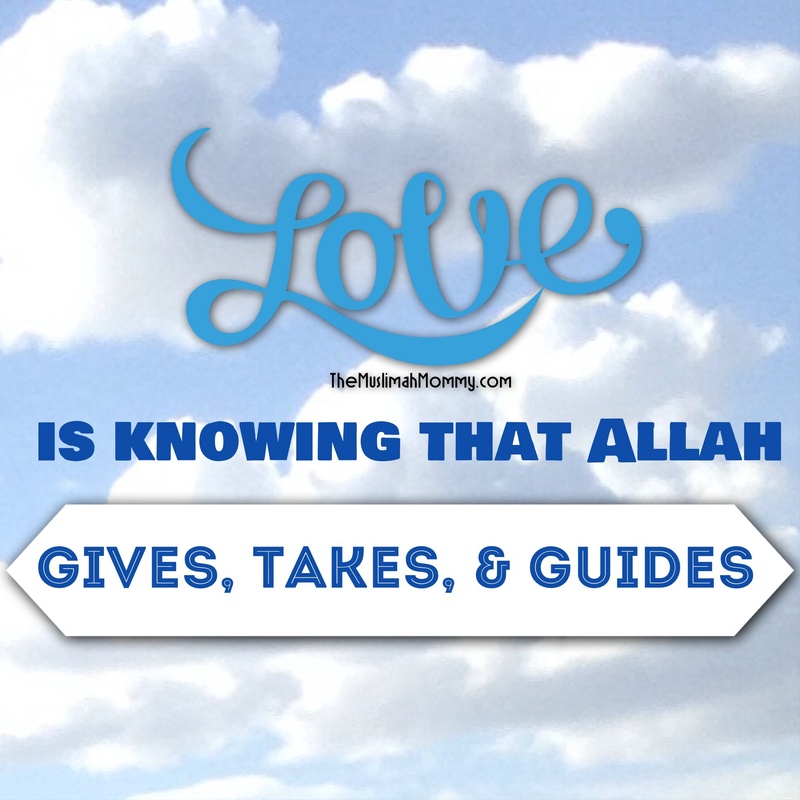 Love is…knowing that Allah gives, takes, and guides. Early in the morning, I received a message about a sister that I know (but have never met personally); her 2 year old child had just passed away, innalilahi wa inna ilayhi rajioon (to Allah we belong and to Him we shall return). May Allah give this sister sabr and strength during this time, and may He reunite her with her child in Jannah, Ameen. Just a few hours later, I received another message from a dear sister that I have been keeping in touch with for a few weeks now; she had expressed how she has become closer to Allah recently, and of how she has noticed an increase in her Imaan, Subhan’Allah. Upon reading this sister’s words, my heart filled with so much happiness for her and for her family, Masha’Allah! May Allah reward this sister for her efforts and grant her Jannah in the hereafter, Ameen. Shortly afterwards, I found out that a dear friend of mine, who is like a sister to me, is expecting a child, Masha’Allah! I instantly felt so much excitement for my dear sister! May Allah give this sister a safe pregnancy and a child who will be the coolness of her eyes, Ameen! That evening, I couldn’t stop thinking of everything that had happened all in this one day, and that too within about three hours apart, Subhan’Allah! Surely, there had to be a reason for all of this…and there was. You see, this was all a reminder for me… A reminder that Allah gives us miracles in the form of children, but these children don’t ever belong to us; and neither do our own bodies. We are in this world to obey Allah, and if we ever get lost along the way, Allah is there to guide us. Indeed, Allah gives, takes, and guides- Subhan’Allah! « Why Me, And Why Not Them? Walaikumasalam sister Papatia, Ameen to your duas! I love the way you express yourself on your blog! Very refreshing. Aameen to your duaas! I agree with Sis Papatia!